"Baxter" arrived at the Bluebell in 1960 after spending its entire working life at the Dorking Greystone Lime Works at Betchworth station. Laid aside after a single steaming soon after arrival at the Bluebell, it was only in 1982 that it returned to traffic after a comprehensive overhaul. It is really too small to haul any of our passenger trains, and has not had adequate braking capacity to shunt the carriage yard. However, it has found its niche working the occasional demonstration goods train, and as station pilot at Sheffield Park. With its bar frames and Fletcher's patent valve gear it is an unusual engine, and its red livery makes an attractive contrast to the predominantly greens and blacks of our other locos. "Baxter" runs a very low mileage each year. So, having received a major mechanical overhaul in the early 1980s and a boiler overhaul ten years later, following the expiry of its boiler certificate in July 2000 it was not expected to take much effort to give it another ten-year certificate, but various items have needed rather more work than expected (a section of the boiler throat-plate required replacement, the timber front buffer beam replaced and supporting brackets repaired, valve chest casting repaired, axleboxes replaced, etc), and the opportunity is also being taken to fit steam heating and vacuum braking equipment for the first time, which will enable the loco to haul occasional light passenger trains. 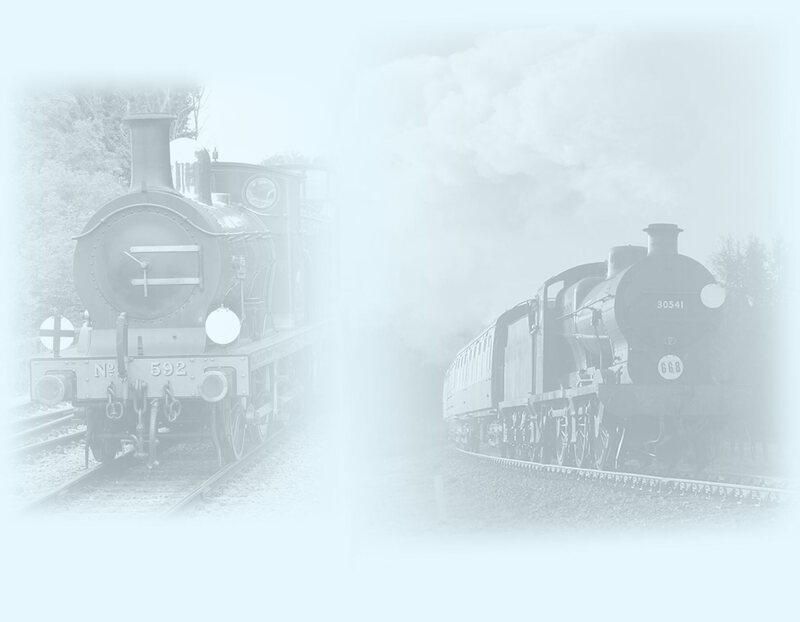 From 2005, the Bluebell Railway Trust funded to materials required to complete the overhaul, the details of which are reported here. "Captain Baxter" (as it had been named until 1947) returned to service at the 50th Anniversary Gala in August 2010. 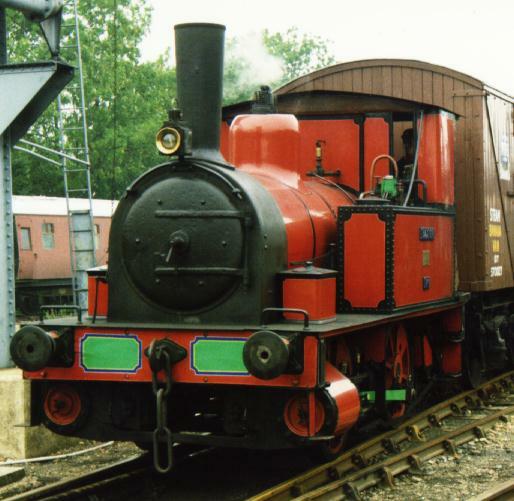 Lewis Nodes has provided a video clip of Baxter working the Vintage Goods train in September 1997. The file is a 6MB Mpeg. Cylinders: (2 outside) 12" x 20"
Owned by the Bluebell Railway. Last update 16 October 2018 by Richard Salmon.